Vangaveeti Radha Out - Devineni Avinash In! Vangaveeti Radha tendered his resignation to YSR Congress Party recently. He might be planning to join Ruling TDP on January 25th accepting the MLC Seat. If the sources are to be believed, Devineni Family isn't happy with the latest political developments in Krishna District. Telugu Yuvatha State President Devineni Avinash (S/o Devineni Nehru) was miffed with the prominence given by TDP Leadership to Vangaveeti Family. He is even contemplating on shifting loyalties to YCP. Devineni Family & Vangaveeti Family are known to be arch-rivals since the past three decades. Few years ago, Devineni Nehru had a patch-up with Chandrababu Naidu for the future of his Son. Following which, Devineni Avinash was offered a key post in the party. Much to the shock of Devineni Family, Vangaveeti Radha is keen to join TDP giving least importance to the history. 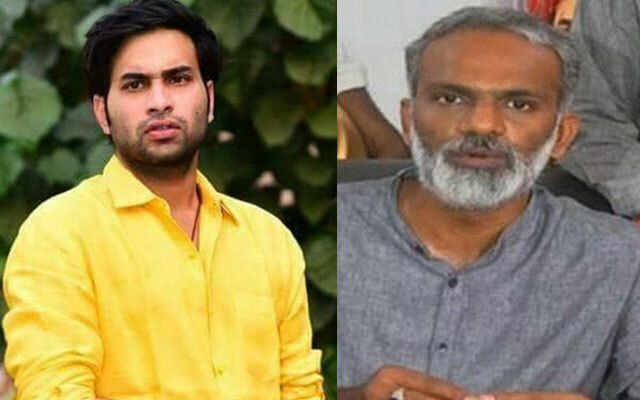 Speculations are abuzz that Devineni Avinash received an assurance from TDP Leadership on Gudiwada Ticket but the Youngster sought Nuzvid Ticket. As per the rumours, YCP offered Vijayawada MP Ticket for Devineni Avinash. There will be a clarity on the future plans of Radha and Avinash by Tomorrow. Vangaveeti Radha Reveals Why He Quit YCP!